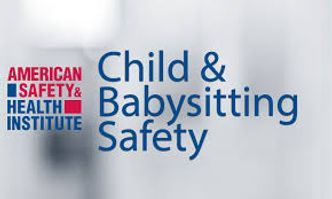 Child and Babysitting Safety - CABS is a classroom, video-based, instructor-led course from ASHI that teaches teenagers about babysitting as a business and designed to engage while informing these aspiring babysitters. This course gives the student everything they need to know, from getting started, to dealing with parents and children, to key safety, caregiving, and first aid tips. CABS teaches the students CPR, choking, water hazards, fun activities to entertain children or various age groups, infant and child feeding, diapering procedures, providing emergency care, basic first aid and much more. The CABS program is a community education program that covers child safety and basic care techniques for infants and children. This course focuses adolescents, NOT intended for Daycare Workers. AUDIENCE: This course is for adolescents between the ages of 12 and 18 years old considering babysitting as a small business and where a completion card in CABS is needed to meet certain job, regulatory, or other requirements.